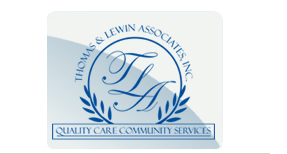 If you are presently enrolled in a HCS Program and would like to discuss our services and your options, inform your state school, state hospital, MRA, ICF-MR, or service coordinator. We will arrange to meet with you. CLICK HERE to fill out our online employment application or download a PDF version to mail or fax to us. Thomas & Lewin Associates own 55% of our homes. We only buy or rent homes that are in good shape in quality neighborhoods. Our goal is not to purchase a house, but provide a home. Each home is located in a normal community and consists of 4-bedrooms, 2 bath with each client having their own room.